What does this Scrum Master training include? Many common practical cases in working as a Scrum Master are treated during the training. Furthermore, there are many simulation trainings that will allow you to appropriately master the principles of Scrum. Our trainers are all experienced Scrum Masters and can draw upon enormous amounts of practical examples. You can optionally take the Scrum Master exam (PSM I) through Scrum.org. If you pass the exam, you will receive an officially recognised certificate. After the training, you receive a code by email that you can use for one single exam attempt. You can take this exam on a day and time that is pleasant for you. The exam is in English and should be completed within a certain time period. Note: no prior knowledge is needed for this training. If you have already followed our basic training, this training will include some repetition. Do you have any questions about our Scrum Master training? 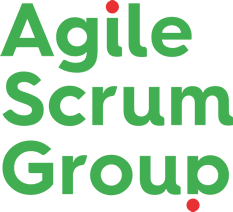 After finishing the course, you receive an Agile Scrum Group certificate. If you have chosen to take an exam through Scrum.org, you also receive an officially approved PSM | certificate that shows that you are qualified to function as a Scrum Master.